Expired 9mo ago . Last validated 10mo ago . Used 30 times. maria reyez I am validating that this deal works as described. 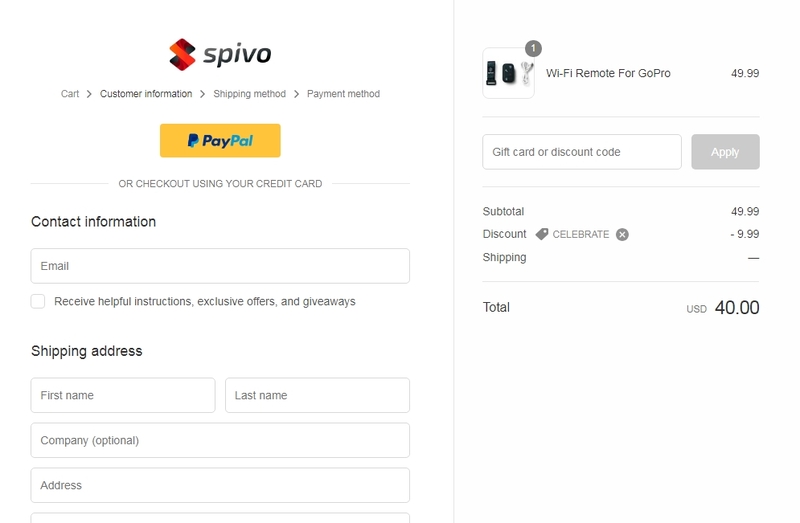 Enter code and Save 20% Off Your Next Purchase at Spivo (Site-Wide). This is a limited time offer. 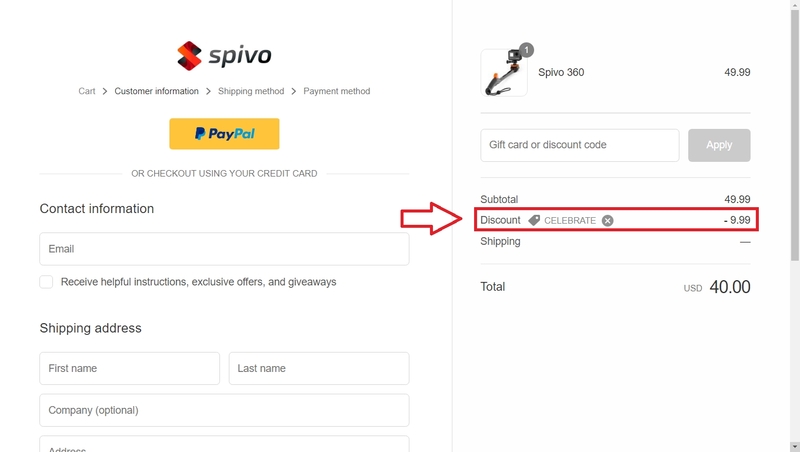 Yerson Profeta Use discount code Celebrate to save 20% off your next purchase, Add products to your cart and paste the code at checkout to save 20% off your next purchase at Spivo.